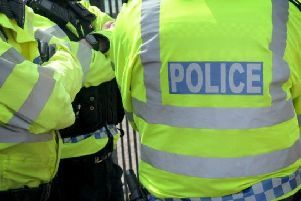 Reports of a man acting suspiciously in Cubbington has triggered a scam warning from police. The warning has come from the Warwick Rural East Safer Neighbourhood Team (SNT) after an elderly woman was targeted. The incident happened in Cross Lane in Cubbington. Photo from Google Street View. At around 11.30am yesterday (Wednesday March 20) the woman, who lives in Cross Lane, was visited by man carrying a clipboard. The man has been described as olive skinned, in his 30's, well dressed, trimmed beard, close shaven and was driving a white BMW registration ending in SDG. A spokesperson from the SNT said: "The suspicious male had said that he wanted to check the loft of the elderly females home. The male stated a false company name that he was representing which was 'Green Loft Lizards'. "Fortunately the elderly female was being visited by her friend that had confronted the suspicious male and told him to leave her friend's house. "The male then went and sat in his white BMW that was parked in Cross Lane for some time pretending to be phoning his employer. The male was possibly waiting for the elderly females friend to leave the address before trying again. "If you have received any visits from this male or anyone else quoting this bogus loft company then please report it on 101."